Dr. Hyon graduated from University of Pennsylvania School of Dental Medicine. She completed a year of general practice residency at the VA medical center in Philadelphia, PA. She practiced general dentistry for 3 years in Philadelphia and in New Jersey before entering the orthodontic specialty residency at UMDNJ in 1997. 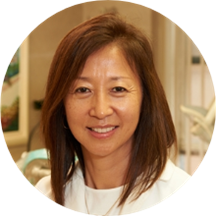 Dr. Hyon successfully completed the Orthodontic Residency Program and received an MS degree in Oral Biology in 2000. Her teaching experience as Associate Clinical Professor at UPenn as well as NYU dental school reflects her dedication to academic excellence and best quality care for her patients. She lives with her husband and family in Old Tappan, NJ and spends her off days caring for her two young children and playing golf.